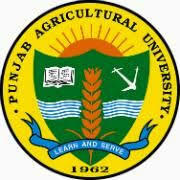 Interested Job Aspirants who are ready to apply for Punjab Agriculrural University 2019 Notification must possess the below-given Eligibility Details. 03. Assistant Food Technologist B.Sc. (Agri)/B.Sc. (Hort.)/B.Sc. (food Science and/or Food Technology/B.Sc. (Home Science)/B.tech Food Technology/B.Sc. Food Science and Quality Control/B.Tech Diary Technology/B.Sc. Eligible and Interested Aspirants are requested to Download Application Form from Below link of pau.edu Website and Submit it to the mentioned Address before the Last Date i.e., 02-04-2019.